Joseph T.Riach conducts Wake Up Personal Mentoring and Business Guidance courses in the Algarve, south of Portugal. He also established Algarve Golf Holidays in Faro in 2002 and continues to manage the business. He is also a qualified practicing Investment Consultant and a Freelance Writer. His Amazon best-selling success and wealth book - Mastering the Art of Making Money - is based on his own spectacular experience as an entrepreneurial super achiever. 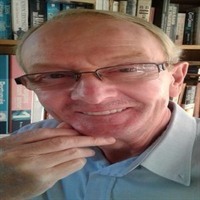 His writing also includes Business Plans, Publicity Literature, Sales and Website Scripts, plus Short Stories and Humourous, Satirical, Sporting and Topical Interest Articles for publication, often under the pen of 'Petrus'. Contact Here re. projects and for more information. Tom's professional background is in Business Advisory Work, Sales, Marketing and Finance. He ran his own Business and Financial Consultancy and group of small businesses in the UK for 27 years before moving to France in 1996. He is an Award-Winning Sales, Marketing and Creative Solutions in business specialist. Sports-wise, Tom flirted with professional football in his youth and later became a seven handicap golfer while a member of the Caledonian Club at Aberdeen Links. He was also a member of the Northern club at the same links and a founder member of Newmachar Golf Club and a country member at Murrayshall, Perth. He played regularly alongside leading professionals in North East Alliance competitions. CONTACT TOM HERE - He'll be thrilled to hear from you!